For the first time in a while, the racing this weekend did not have anything too controversial. 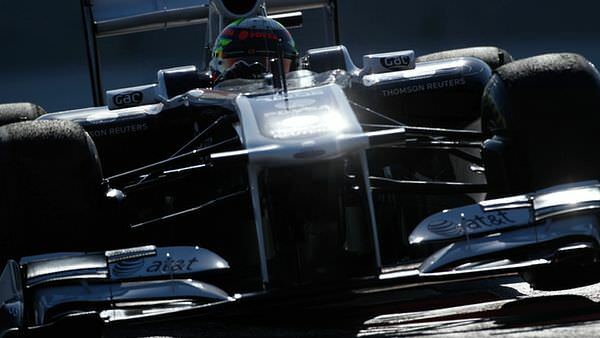 Lewis Hamilton managed to steer clear of Felipe Massa and went on to win the race. There were reactions aplenty on Twitter, from getting to the circuit in the first place, through to deciding whether the racing was any good or not. Here are my top ten tweets of the week. 1. The word young definitely relates to age, no matter what he says. Although it is called a "Young" driver test the only restrictions is for drivers that have raced in F1. Not age!! 2. We've seen some 'interesting' designs this year, that's for certain. 3. Is awkward the right word? I would have thought more unusual and/or awesome. Watching Formula1 in the room! Oh no! There goes the World Champion,feels so awkward watching someone else leading the race..
4. Force India did a good job of pulling away from the Sauber/Toro Rosso squabble. A big well done to the whole team following our excellent result today. 6 points moves us even closer to 6th place in the championship! 5. Brundle enjoyed the weekend, but the rate the race thread here on Sidepodcast would suggest others did not. Long but fun day at track. I enjoyed Abu Dhabi event overall, hope you did. Driving AD circuit tomorrow then home. Flat out until Brazil. 6. Not a young driver test, and not a true indicator of potential either, it seems. 7. Petrov keeps on 'grrrr'ing. Hi,again no point for us!!! I'm tired to be out of top 10 guys!!! Need good weekend last RACE!!! R r r r r. Come on we can do it! 8. Good show by Lotus or bad show by Renault? Happy with another strong race - a sign of our progress that we were disappointed not to catch the Renault at the end! How did you enjoy it? 9. Better keep this in mind if we're in need of a debate. Office debate on whether backmarkers should have to move over for the leaders now at 50/50, or six for, six against. It's still raging! 10. It must have made quite the impression!